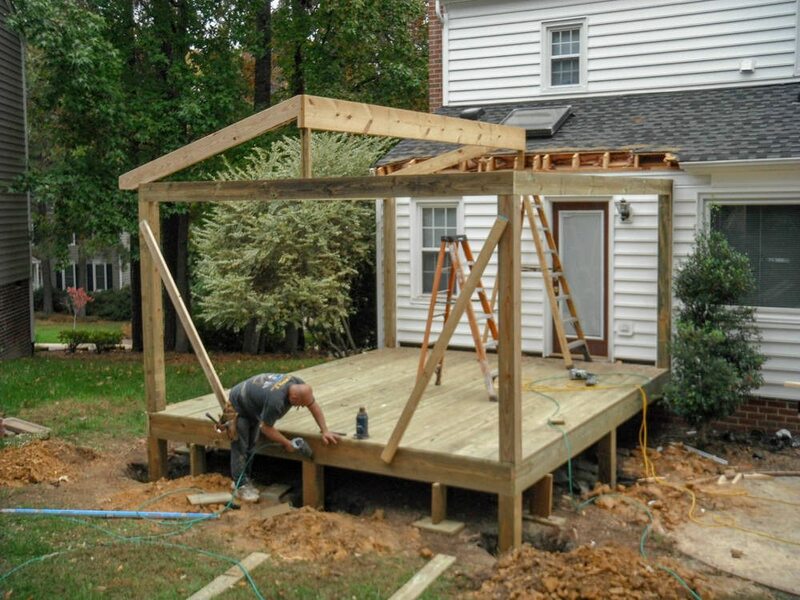 Here is a progress photo of a new pressure treated screen porch project that has started in Henrico Va. The existing 13′ x 12′ deck was removed and disposed of. The new screen porch will be 13′ x 16′ along with 1- 4′ x 4′ landing and 1 sets of stairs to the ground. Footings are dug to a depth of 18″, inspected and concrete installed in footings for porch and deck support. Framing for the porch utilizes 2 x 10 band and beams with 2 x 8’s spaced at 12″ on center.